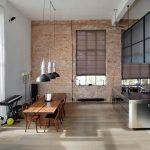 Hickory Flooring Pros & Cons - Is It The Right Decision For YOUR Home? Hickory wood flooring adds character to a house. 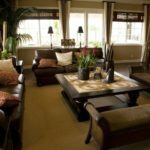 It makes the house homely, but it also comes with a lot of maintenance. However, there are variants in wood flooring which are definitely worth the high maintenance. 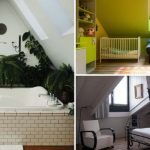 Yet, does the beauty of the room outshine the tedious care routine? Let’s see that in today’s post. Natives of the USA, hickories are deciduous trees. Due to its ideal combination of strength, hardness, stiffness, toughness and being shock resistant, the hickory wood has gained popularity as the first choice for a house flooring. It has also gained wide usage as tool handles, lacrosse sticks, golf sticks, for smoking and even curing meat (the dense wood makes for a slow and even burn, adding that woody flavor). It has a grain pattern which makes it rustic and gives the house a distinct class and texture, adding to its overall appeal. Despite the chic look it gives to the house, sadly, only 5% of the population uses this wood for flooring. Now, as with every hardwood, the ever-dependent hickory too comes with a set of pros and cons. These woods are efficient at retaining the look for years. Aesthetically, they look very pleasing due to a wide range of shades, from utter dark ones to really light colors. It is usually also advised to choose thicker planks to avoid the floor from looking too clustered as hickory wood grains are dense. Goes extremely with wooden furniture. Plus, with the proper lighting, it can really make an otherwise dull room look absolutely stunning! 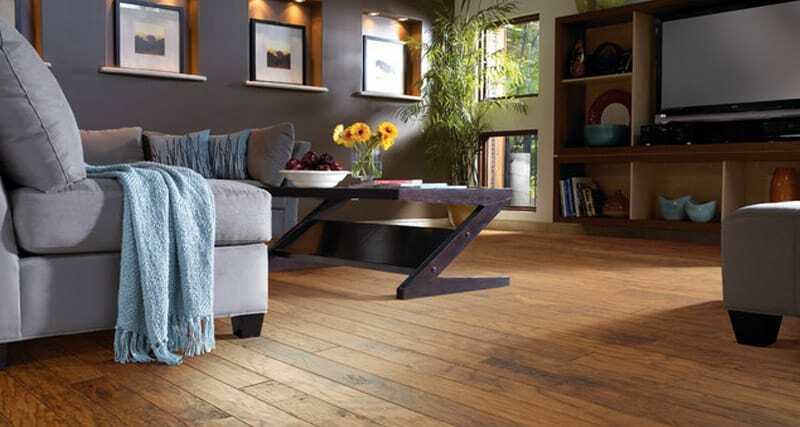 Hickory wood flooring can be used as a rustic décor or as something formal. Hickory woods are extremely versatile when it comes to styling. They are durable and resilient, thus becoming an ideal option for a busy household. This wood is also kid and pet-friendly. 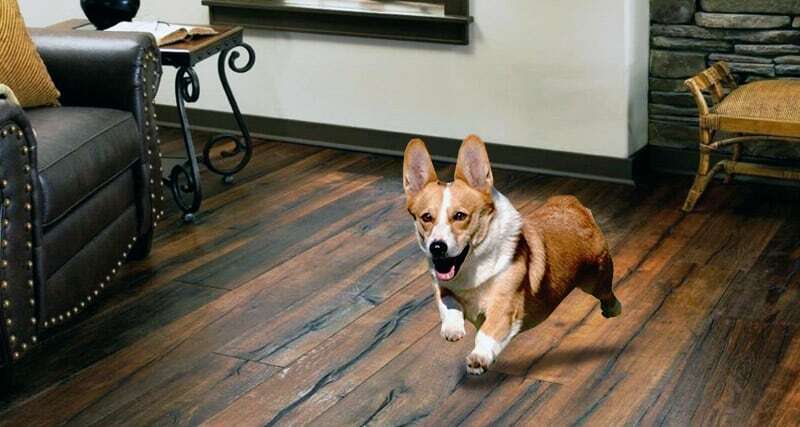 You can enjoy the “clickety-clackety” of your furry babies without worrying about damaging the floor! It is not a very tough task to keep this flooring clean (once you install it properly). Maintenance is pretty basic, hence it makes for a great choice for people who have a busy schedule. 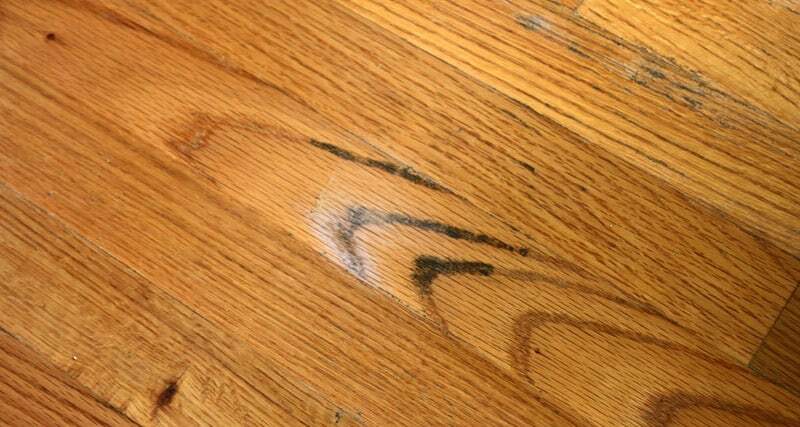 Like any hardwood, refinishing is essential and solid hickory should be refinished every 5 years, as for the engineered ones, they should be refurbished at least once in their lifetime if you choose the thickest wear. As these woods are not widespread, they can be a little expensive when compared to Oak. Yet, it is worth buying at $4 – $5 per sq.ft. for the amazing features, they possess. Being grown in abundance, hickory wood is an eco-friendly option for flooring and are sustainable. One should check for the FSC certification when buying hickory woods to ensure that they are sourced from a farmed plantation. Natural or lightly stained hickory woods are either dark like the heartwood or light like the sapwood, and this might not sit well with everyone but as it takes the stains readily, this problem can be solved. Secondly, this flooring is harder to maintain when you compare it with concrete flooring. It is difficult for a layman to fix it as it is a very hard wood, which comes with a Janka rating of 1820. Cutting and sanding would be an issue unless you get a team to help with the installation. Hickory is not resistant to water and mold, even though engineered ones minimize the risk of rotting, it is best to not invest in hickory if you are very much concerned with damp. Being a very dense wood, staining is tricky. It needs water popping repeatedly; you do not have the option of DIY hence you need professionals or buy wood that is pre-stained and prefinished. If you rush the installation process without allowing the wood to acclimatize to its environment, then the wood is prone to warping. Hickory flooring can be an expensive option, especially if you choose the pre-stained and prefinished wood although hickory is the native of this country. Also, one needs to involve a professional for the installation, which adds to the cost. Even though there are disadvantages to hickory flooring, they are not impossible to overcome. Getting pre-stained and wide boards solves the issue of the floor looking too dense and can blend into the décor of the room. Letting the wood to adjust to the surroundings will prevent warping. You can also let your bold side reflect through naturally occurring, unstained wood planks as they add a tinge of warm aura to the room. Keeping the wood as dry as possible and choosing engineered over solid wood can make hickory work even in humid climates. It all comes down to personal choices and knowledge about the climate you are living in. 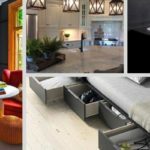 Whether you want to stick to the tried and tested oak varieties or make a statement with the hickory, having hardwood flooring has a character appeal and getting the wood from a certified seller lessens your worry. Hickory has a mild grain, which more visible than Maple, but not as intense as Oak.